Spring has finally sprung! As the temperatures start to warm up, Mother Nature will slowly grace us with lush green grass, thick, full trees and gorgeous gardens overflowing with fresh vegetables and fragrant flowers. But nature's beauty doesn't only have to exist outside of your home. Why not let this time of year inspire you to take a more eco-friendly approach to your home design and decor? To create a non-toxic living space, start with the walls. According to The Good Trade, a paint, finish or lacquer that's eco-friendly is free of Volatile Organic Compounds, which release low-level toxic emissions. These substances can impact the atmosphere, and ultimately affect your health and well-being. Find interior paint brands that are labeled "low-VOC" to indicate they are both safe for humans and for the planet and give your entire home a fresh color coat. If you want to keep your carbon footprint smaller this season, avoid purchasing all new decorations to spruce up your space. Instead, head to the flea market or a thrift shop to search for vintage pieces that can complement the new look you want to achieve. This is a simple and effective way to redecorate your living space without harming the planet. Use non-toxic paint throughout your living space. You may want to change the window treatments to flow with the vibe of the new season, but have you ever considered the impact your choice can have on energy consumption? Heavy drapery is known to block the light and cold air from flowing in and out of your home. This is ideal during the winter months when the heat is on, but it can also make it more difficult to rely on natural light to keep your space bright during the day. On the other hand, a set of light, sheer window treatments makes more sense during the spring because they let natural light flow in your home almost effortlessly. Nothing says "I care for the environment" quite like a home full of fresh plants. Not only does it show you embrace the natural beauty gifted by Mother Nature, but it also emphasizes your desire to make your indoor living space more eco-centric. According to House Beautiful, house plants can positively impact the air quality in your home, since they breathe in carbon dioxide and turn it into oxygen. This means they soak up harmful toxins and can naturally purify your air. In other words, don't only tend your garden this spring — bring house plants and flowers into your home to liven up the space and get rid of pollutants. If you want to achieve sustainable design and decor but need a little help along the way, contact a personal decorator from Decorating Den Interiors. He or she will come to your home for a free consultation to evaluate your living space and provide insight based on your personal style, preferences and these eco-friendly ideas. From there, you can devise a plan to make your home more mindful of the atmosphere and all the earth has to offer. By making moves to create a more environmentally aware atmosphere, you can help make a difference in the world while also making a chic statement along the way. 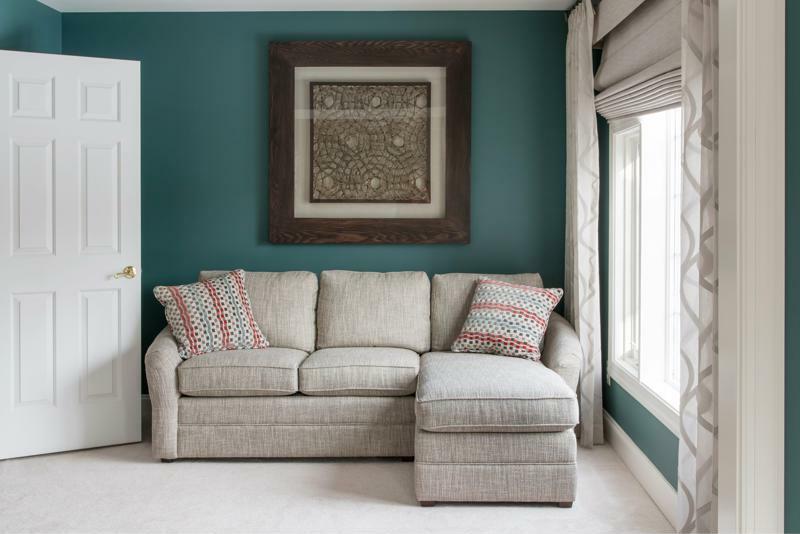 Contact a design consultant from Decorating Den Interiors today to get started!